2019 International Year of Indigenous Languages coin produced by the Royal Australian Mint.  The NAIDOC week theme for 2018 is: ‘BECAUSE OF HER WE CAN’ Posters are available here at the Noongar Language Centre Bunbury. Master and Apprentice information session Margaret River Thursday the 5th April 2018 Please click the link above for more information.